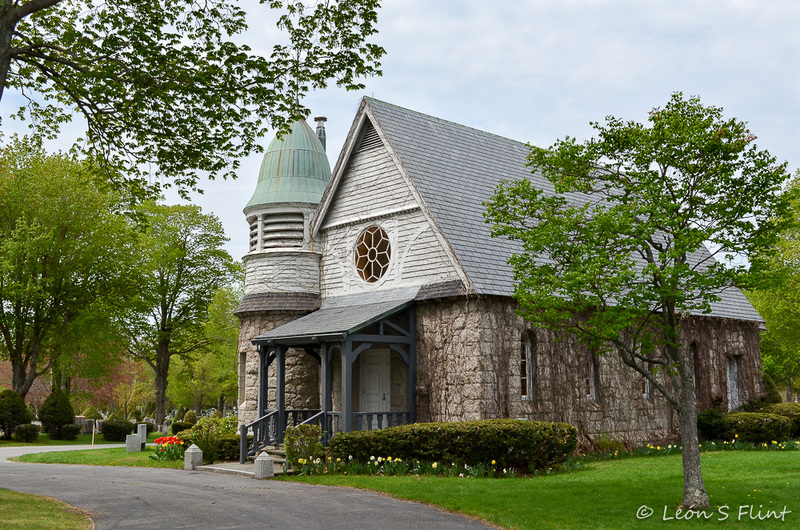 You might remember that last October, during the peak of fall color, I took a photo walk in Laurel Hill Cemetery and wrote about it here. 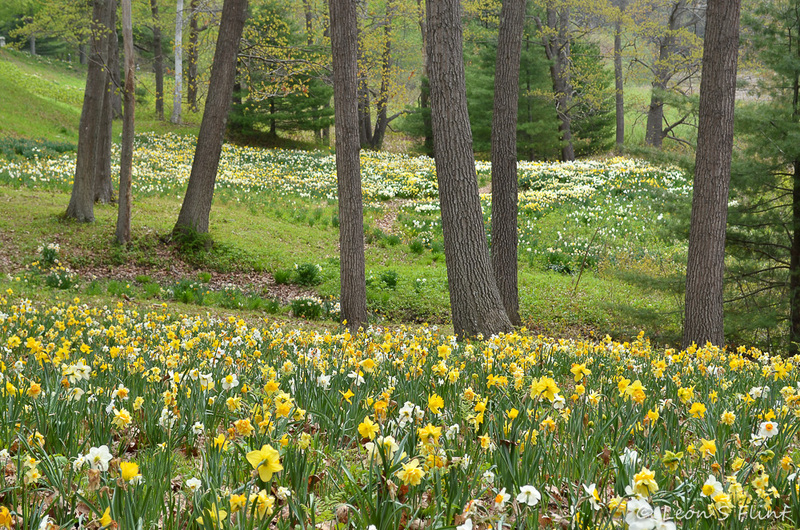 I’ve been here many times before to photograph the daffodil display in April and early May. In fact, I’d gone a few days earlier with my friend Susan. 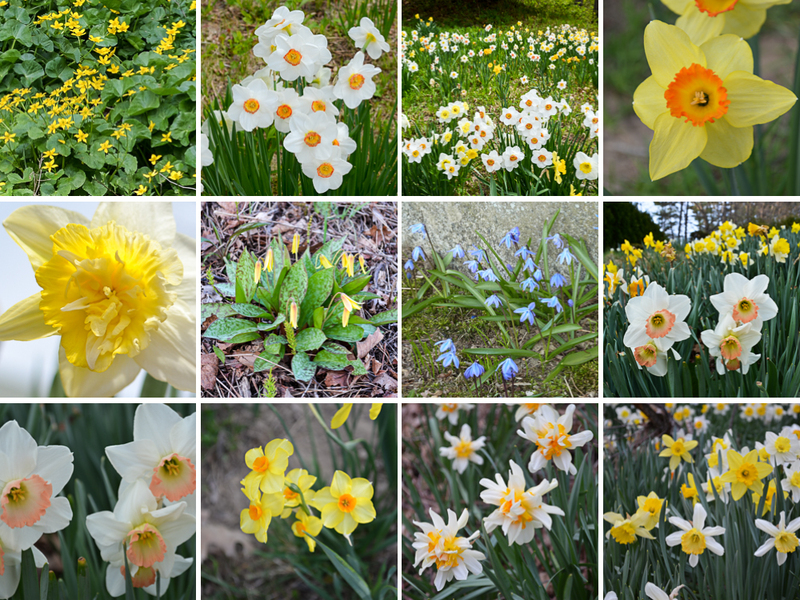 We talked about how, even though neither of us really needs any more daffodil photos, it seems a rite of spring, a sort of victory celebration, to go take them every year. Another winter has passed and we survived! 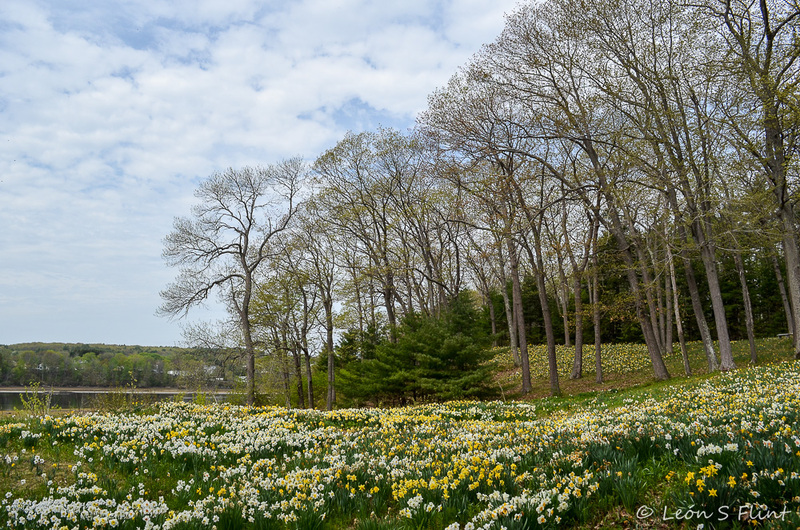 It’s so hard to cconvey the feeling of it — the sheer scope of whole hillsides covered in yellow and white blossoms. Or maybe it only seems so overwhelming because the world has been black and white and grey and cold for so long. 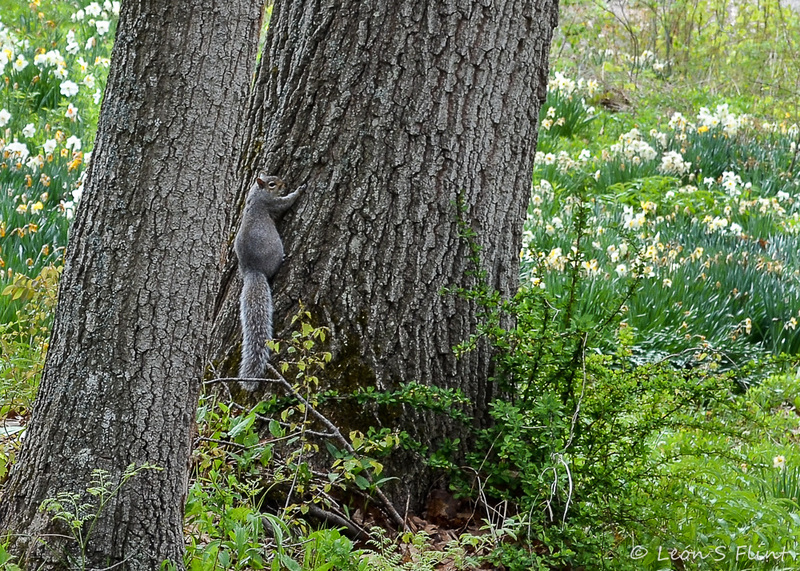 Aside from the little guy above, there was no one else around, and so I wandered about, shooting more daffodils with my Nikon. (It’s hard to stop — they really are irresistible.) Then I made my way down to the bottom of the hill and saw them from an angle I’d never seen before. I took this photo and a couple of panoramas, including the one in my header, with my iPhone. These feel like I’ve come closer than ever before to capturing that broad sweep of flowers against the background of river and trees that I’ve always wanted. 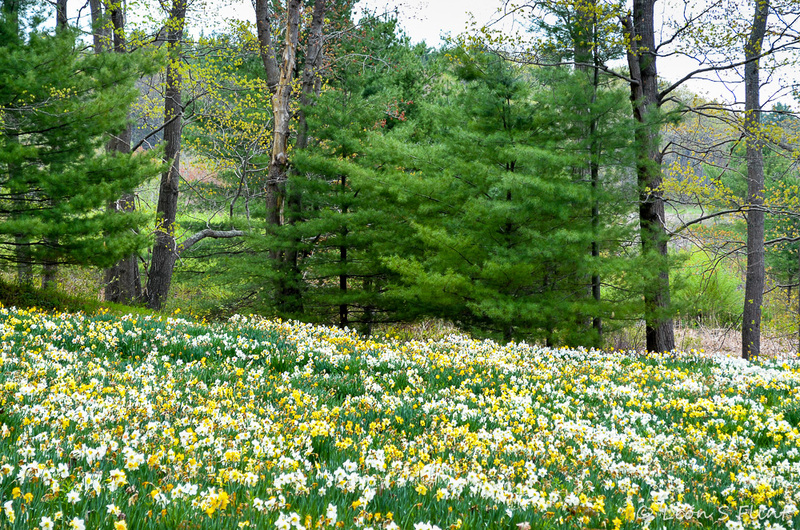 There are hundreds of thousands of bulbs here, and I’m sure there must be hundreds of varieties. And wildflowers, too. The mosaic above is only a small sampling. 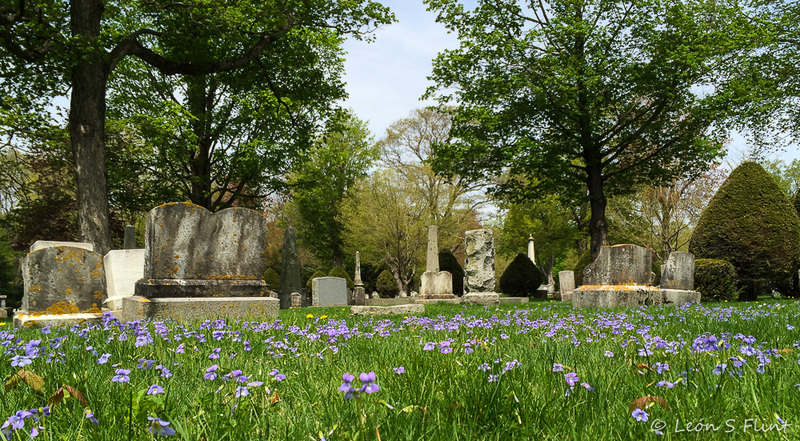 Tearing myself away from the daffodils, I wandered among the old grave markers, marveling at the beauty everywhere I looked. 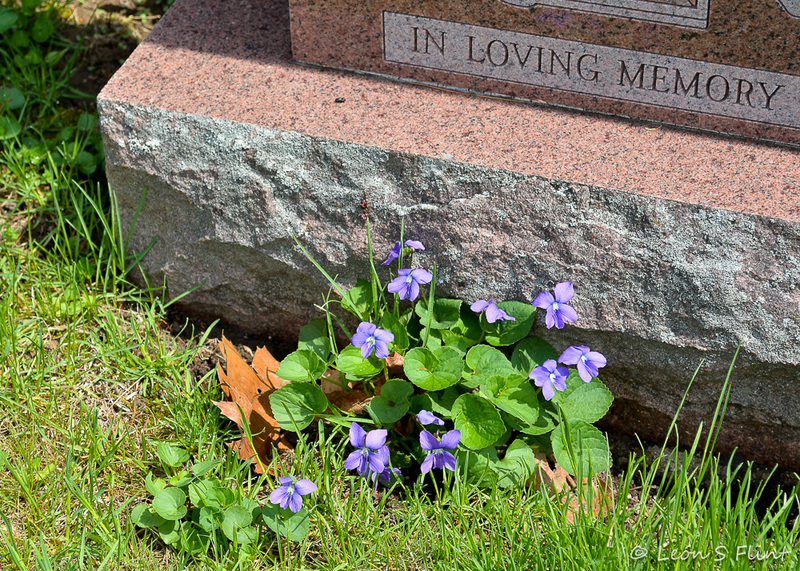 Grass that was carpeted with colorful leaves last fall and blanketed with snow all winter is now sprinkled with violets. 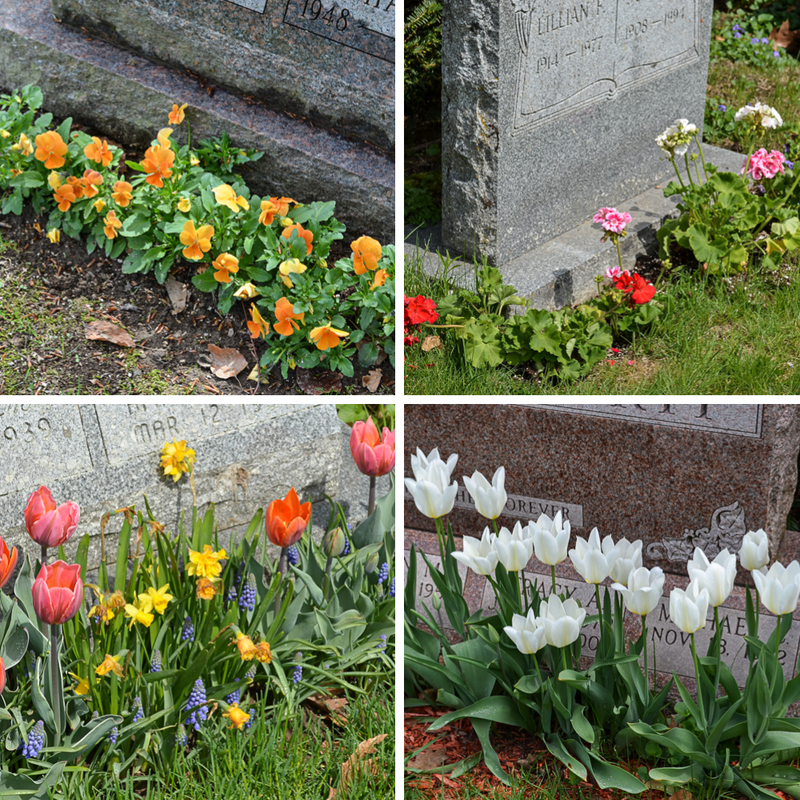 Many graves are planted with beautiful spring bulbs and other flowers. Others have been decorated by Nature’s own hand. 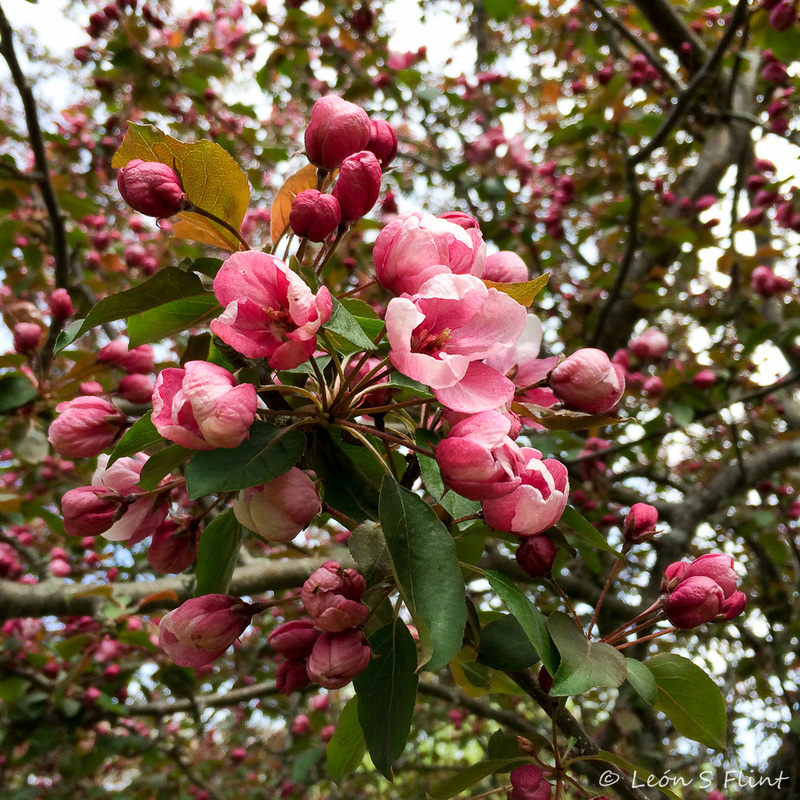 The crabapple trees were just on the verge of bursting into full bloom. 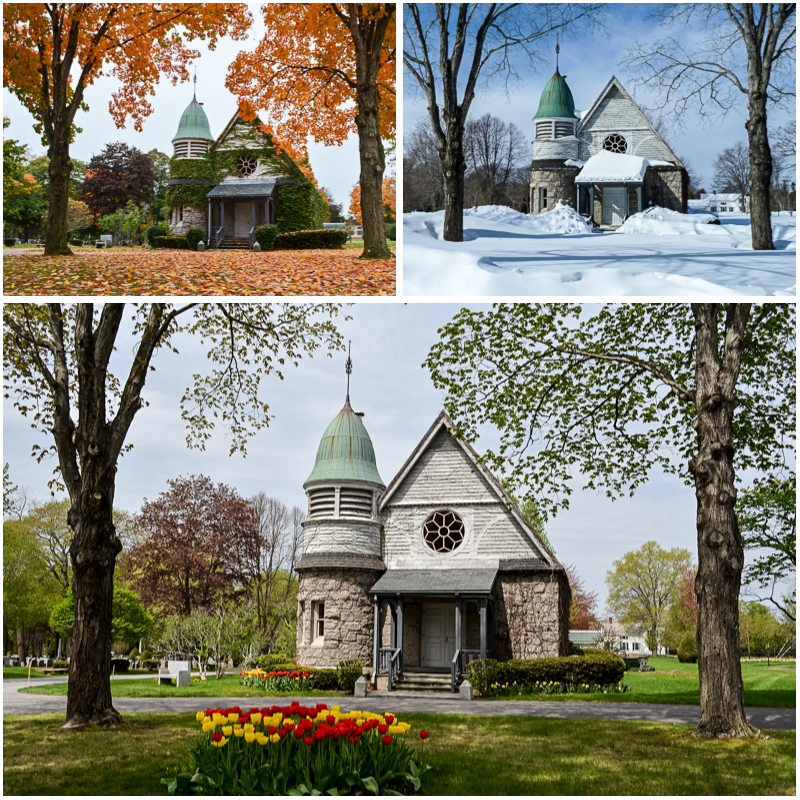 Of course I had to stop by the chapel again, to marvel at how different it looks now from October and January. The building looks bare wearing only a tracery of vines without their customary covering of shiny, dark green leaves. 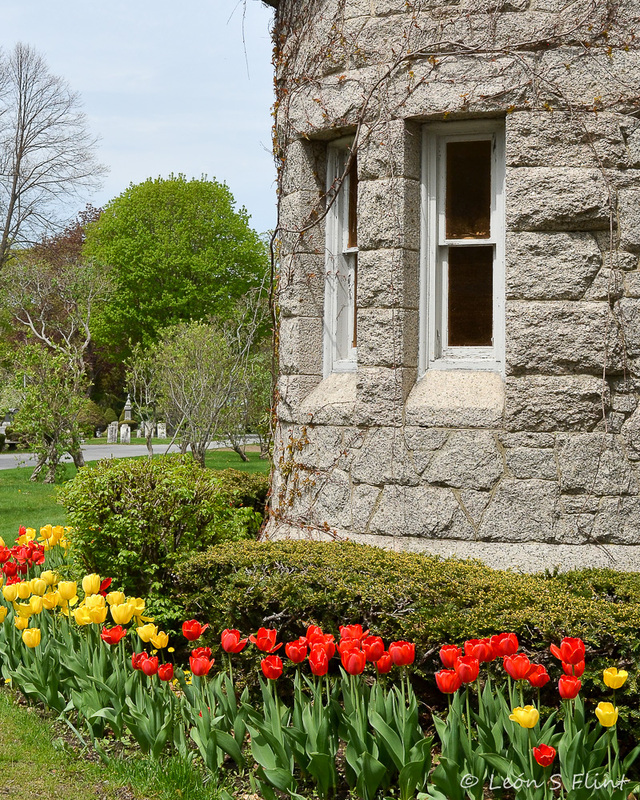 Soon the tulips will be gone, the rhododendron will have bloomed, and those vines will hide the grey stone walls and try to cover the windows of the old chapel with leaves. I’ll leave you with a look down the same lane I closed with last autumn . . .
. . . and one last peek at the daffodils as the sun goes down, a view that won’t come again for another year. The comfort is in knowing that it will come, no matter how long the seasons in between. The cycle goes on. I love coming here in any season, for the solitude, the peace, and the natural beauty of this special place. I’m already planning to bring my camera back in full summer, when the trees will be in leaf and the grass filled out and deep green. I’m looking forward to seeing what surprises await me then. 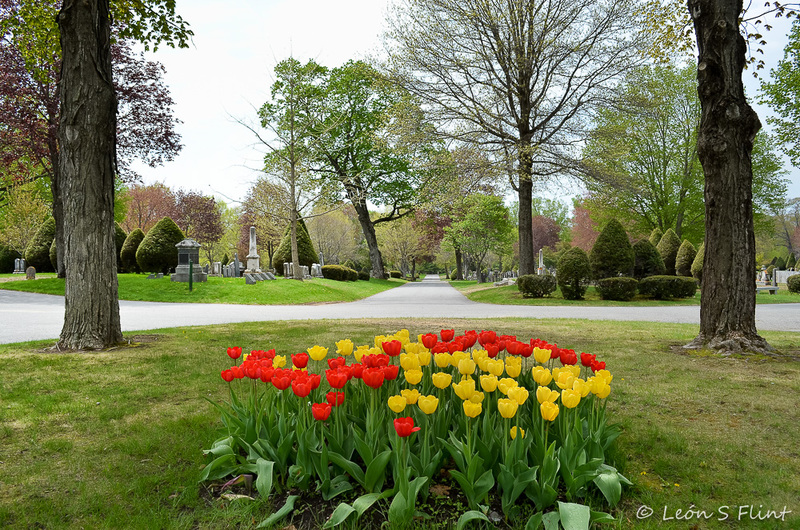 Categories: Seasons | Tags: daffodils, Laurel Hill Cemetery, Maine, Saco, spring, violets, wildflowers | Permalink. I love color. 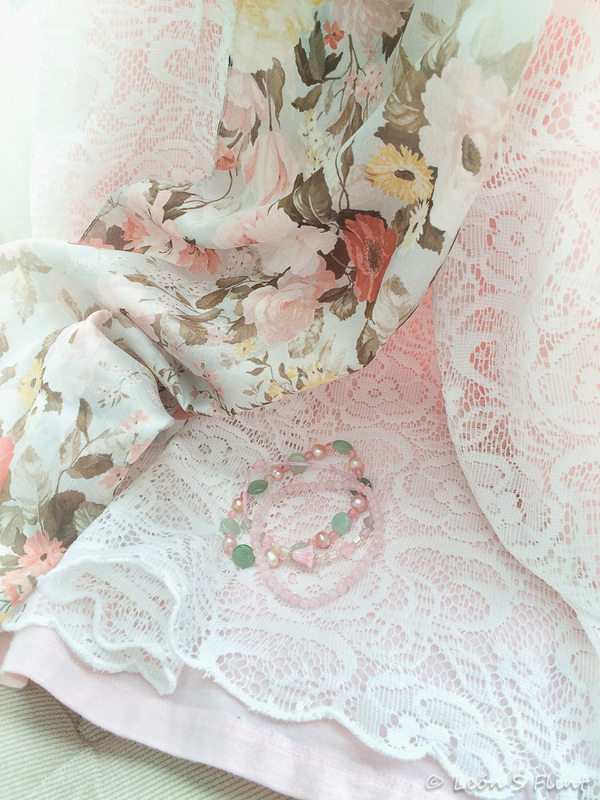 I love bright colors, flower garden colors, but I’m especially drawn to pastels. This week’s Be Still assignment was to create a still life featuring pastels, in honor of springtime and Easter. I thought about dying eggs, but it didn’t interest me much. And it would have required buying things — white eggs and dye to color them with — specifically for the photo shoot, which is against the “rules” I have set for myself regarding Be Still, to use what I already have. Besides, I had other ideas. A couple of them. The first was fashion, something that relates both to Easter and spring, right? I used my desk chair for all the photos in this post. It was backlit by the living room window, with a linen curtain pulled closed to filter the light. Rather than spot-metering, I overexposed the images to compensate for the bright back light. Both of the photos above were processed in Lightroom with Kim’s “Pastelhaze” preset. What it did to the images felt like magic! 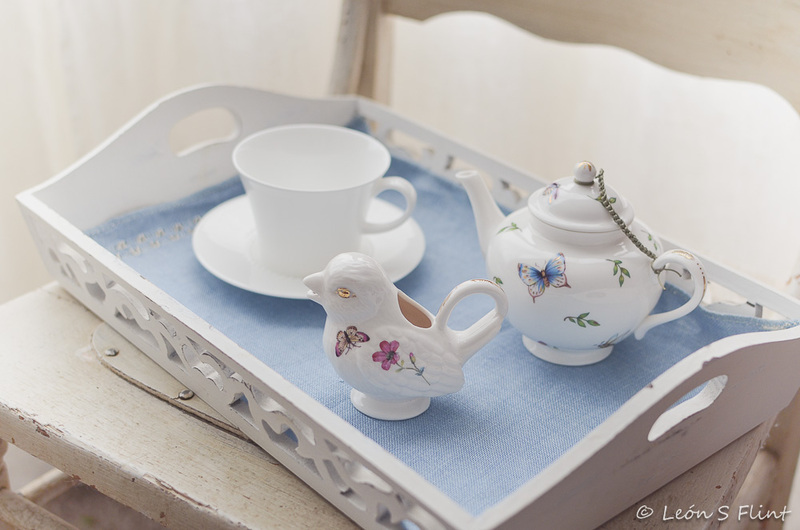 Well, now that I’m all dressed up in my Easter finery, how about a nice springtime tea? 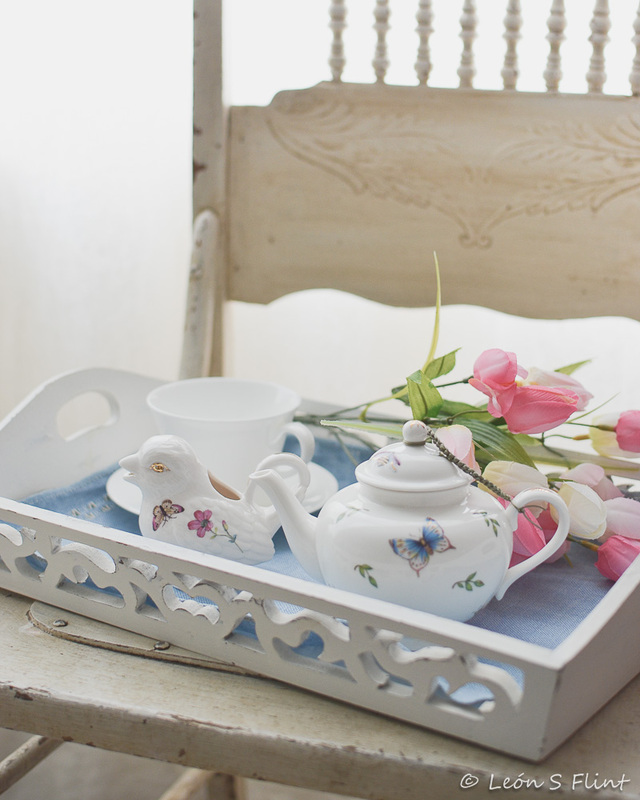 Both of the tea set images were processed with Kim’s “Breeze” preset. It gave me just the soft, glow-y mood I wanted. I have actually learned quite a lot because of my silly, self-imposed rules and other logistical limitations. They have caused me to think creatively about how to adapt Kim’s prompts to my own life and style, and to come up with solutions for space and light problems. And I love finding ways to feature and highlight some of my own favorite possessions. It makes me happy to see my old keepsakes and everyday utilitarian objects become art! 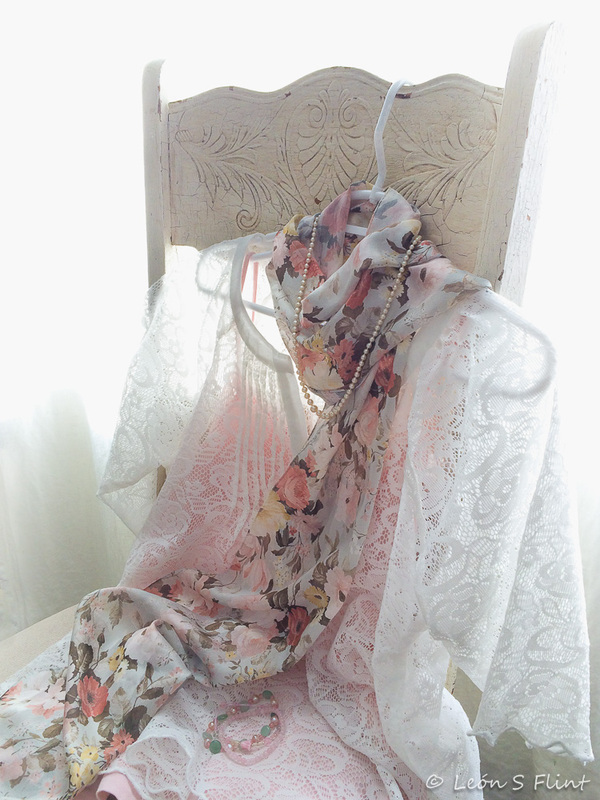 Categories: Be Still - 52 | Tags: antique chair, backlight, bird creamer, Easter, lace blouse, pastel, pearls, scarf, spring, still life, tea, teapot, white carved tray, window | Permalink. It’s funny how often my Photo-Heart Connection image has turned out to be one from the first day of the month. This time it’s different. This image was taken on the last day. 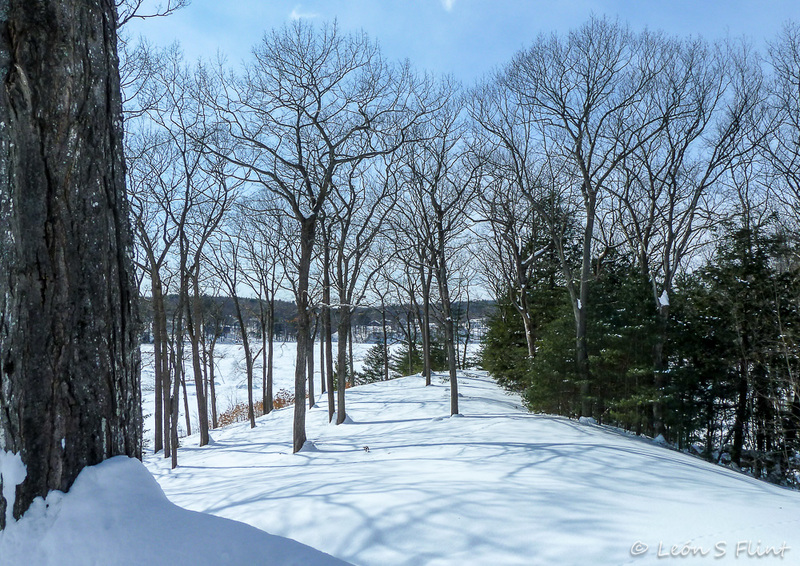 April began with piles of snow still lying in shady areas around the house and garden. We even had a fresh dusting of snow mid-month. But just when it seemed she would never come, Spring began showing her colors. She works her way from the ground up. The grass turns green. Tiny bulbs began poking up and then blooming. Sap begins to rise and twigs brighten with red or gold. 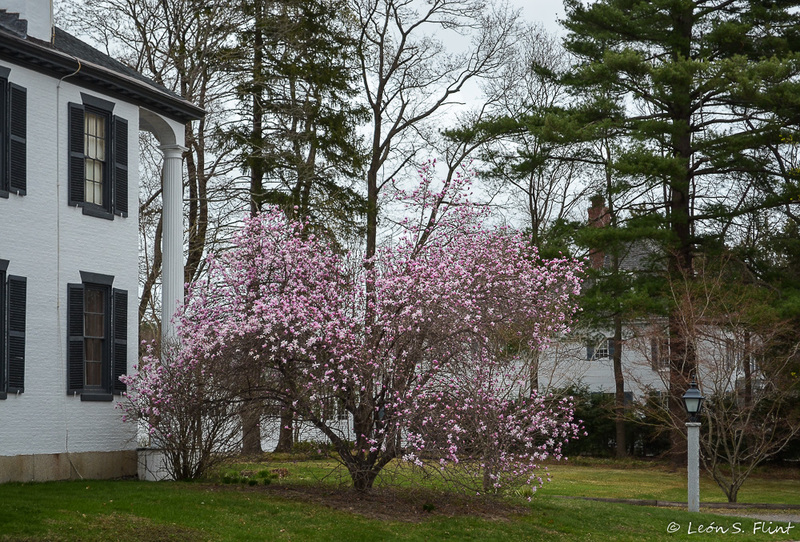 Leaf buds began to swell, first on shrubs, then trees. And then…and then…everything seems to simply explode into leaf and bloom, as if all that pent up energy simply must release itself at once. That’s what the image above represents for me. 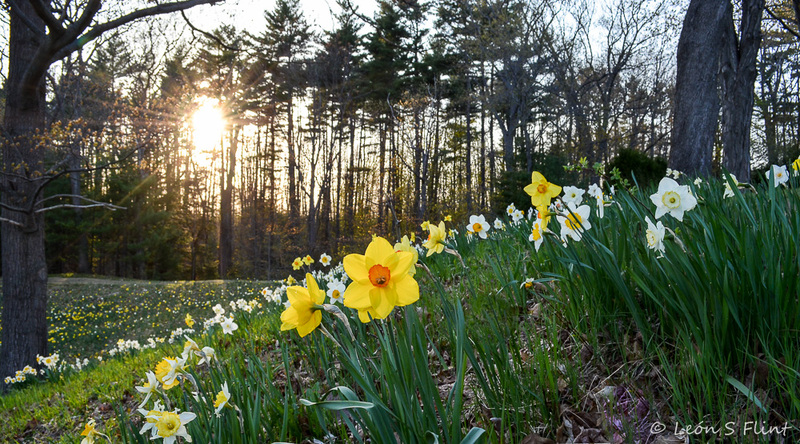 One day, all is cold and dark; the next day — suddenly, finally — Spring is here in all her glory. She never lets us down. And she is so worth waiting for. Linking with Kat Eye Studio’s Photo-Heart Connection for April. 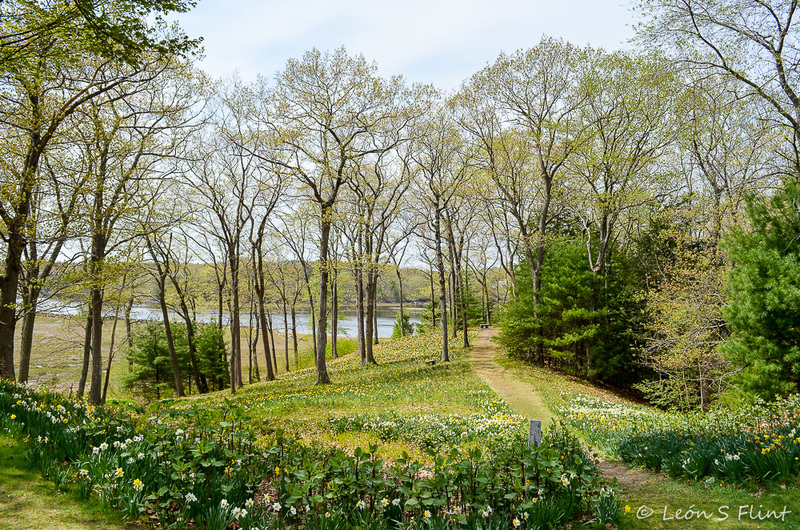 Categories: Photo-Heart Connection, Seasons | Tags: Maine, Saco, spring | Permalink.